This is the eighth chapter in this story. Make sure you start at the beginning here, as this won't make much sense without context. As we left off, I was bringing what evidence I had gathered to the Luke AFB IG office. Because I was filing a complaint against members of the 54th Fighter Group, a detachment from Luke Air Force Base, I had to coordinate at Luke. So I brought my research into active duty F-16 EORs and my running log of the events up to that point to the IG. It's important to remember that I didn't have the 137 pages of court documents from Lt Col Martin's trial as my FOIA request was still pending release. First let me summarize my complaint. '6.3.2.1. Member of Congress or a member of their staff. 6.3.2.2. 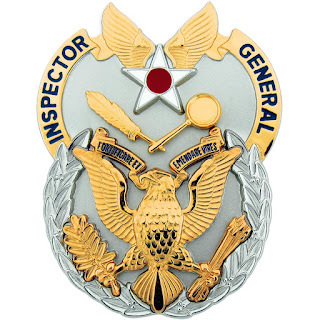 An inspector general or a member of the inspector general’s investigative staff. 6.3.2.3. 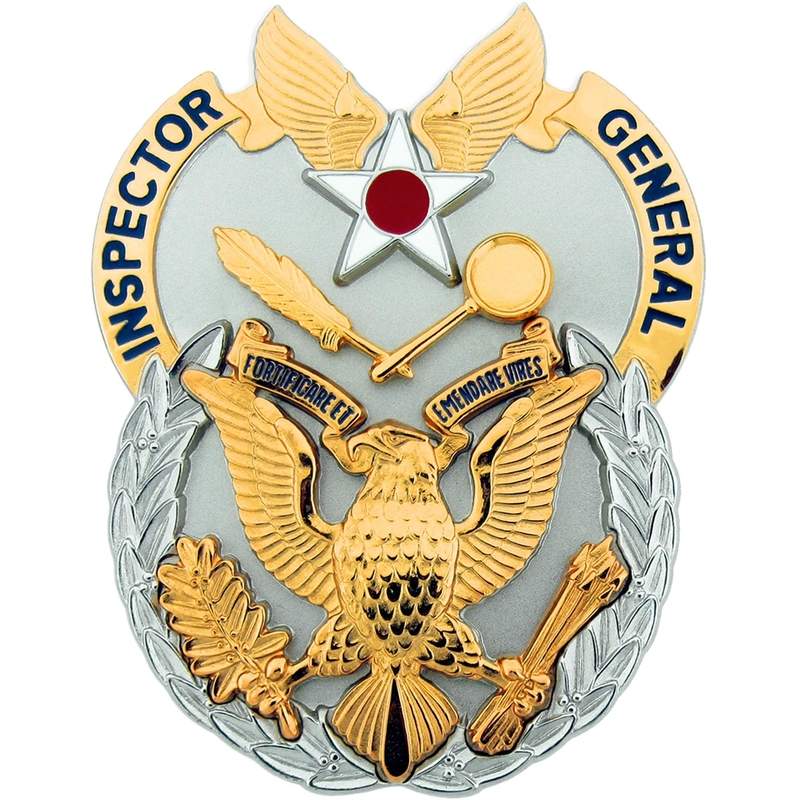 Personnel assigned to DoD audit, inspection, investigation, or law enforcement organizations, equal opportunity, safety, and family advocacy. 6.3.2.4. 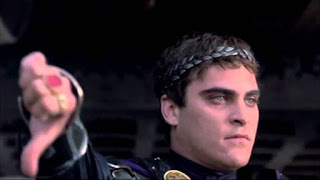 Any person in the member’s chain of command. 6.3.2.5. The Chief Master Sergeant of the Air Force, Command Chiefs, Group/Squadron Superintendents, and First Sergeants. I was moved from my position as Lead Production Superintendent to End-of-Runway Superintendent. I turned over from an inexperienced TSgt. Chief Fraley required the EOR Super to personally inspect every aircraft as they passed through EOR. However, the inspection wasn't defined. Since I was turning over from a Technical Sergeant, and my survey of 7 active duty F-16 bases supported, EOR super was significantly less promotable and was of a lower level of responsibility than what a MSgt should be occupying. So to move me from Lead Pro Super to EOR Super dramatically changed my job responsibilities compared to my own career as well as my peer group. But the real kicker is that last bolded statement. Since Lt Col Martin had immediately ran to his office after being released and told Chief Gleesing, Chief Fraley and anyone else that I was the source of the recording he actually handicapped his avenues for retaliation. Because by the following Monday everyone knew it was me. Since I was sub-sequentially moved to EOR a reasonable person would assume it was a result of making a protected communication and they would likely be deterred from doing the same to protect their career. If my anonymity was preserved, it could be argued the move to EOR was just a course of business; albeit unconventional. I presented my evidence to the IG. He responded that unless I received some measure of paperwork or tangible adverse action, I was not experiencing reprisal. I explained that placing me in a junior NCO position was the reprisal. He responded that being in the military, they can place you in any position they want; that's the nature of the military. From that moment I realized this was an exercise in futility. Ironically, just a few months before I read a John Q. Public PSA about how the IG only serves to protect commanders. I didn't believe it when I read it, but after my experience with the IG I could tell the inspector was trying to manipulate my experience so that it wouldn't constitute reprisal. I found out days later that he reached out to the AETC F-16 functional manager to ask if moving from Lead Pro Super to EOR Super made me 'un-promotable.' The question itself is stupid. Retaliation isn't predicated on a go/no-go measure. The question would be was I 'less promotable' and the answer is a resounding YES! I was faced with a few options. I could reach out to my Congresswoman and just make a mess of everything with little outcome. A Congresswoman isn't going to weigh in on a gray area like this; and I knew it. Instead I turned to what I could control. I made sure my EOR team was following our technical data and putting safe jets in the air. It began with a few friendly text messages to the AMU Pro Supers to let them know about problem areas on their jets that would need to get fixed if they wanted them to continue passing our EOR inspections. My long-time friend MSgt Jason Walker in the 314th took my messages seriously and set out to use my candid feedback to apply his available maintenance resources in the appropriate areas. The 311th on the other hand wasn't really interested in what I had to say. I noticed many of the jets had substantial fuel leaks on the fuselage and primarily at the wing-tips. I gave each AMU about a week to get their worst jets under control. On September 29th 2016, I sent two 311th F-16s back to chocks. Their fuel leaks were too severe and I couldn't let them fly in good conscience. One had 60 drops per minute leaking from it's right wing. The other jet's left wing was completely saturated in fuel from leading edge to trailing edge; wing root to wing tip. It was so saturated I couldn't actually determine the source. As I completed my daily EOR report the Assistant OIC of the 311th came into my office. He was a prior enlisted Second Lieutenant. He had a good head for maintenance but like every CGO was very aware of how fragile his career could be. In fairness I don't blame him; the 54th Fighter Group was a toxic climate for everyone but the chosen. He sat down and asked me what happened with the two jets I sent back. I replied they were leaking and unsafe to fly. He asked how I knew they were bad. I replied 19 years of experience working on F-16s tells me they were well beyond normal. Then he said something I imagine he regrets. Huh. It's a good point isn't it? Fortunately the next day was the 30th of September, the end of the fiscal year. So I had plenty of time to research the specific T.O. leak limits. Previously I would use a limit of 30 drops per minute for the leaks. I didn't have any data to back up that limit, I just figured odds are the T.O. would be less than that. So what were the limits exactly? Well first let's talk about typical T.O. verbiage. Almost every T.O. I've read categorizes limits into one of two categories serviceable or unserviceable. This allows the technician to still decide if the unserviceable condition is airworthy or not. Just because there is a nick in the radome and it's unserviceable doesn't necessarily mean the jet can't fly. Just that there is a discrepancy that requires repair. The -6WC for EOR didn't specify limits, it just told technicians to look for leaks. The 28FI said anything less than a running leak was flyable and could be repaired at convenience. But what is a running leak? How is that defined? According to T.O. 1-1-3, Table 4-1 a running leak for Jet-A is 4 drops per minute. So if you can't repair the leak the jet is grounded. It's not often you see the word grounded in a T.O. It's one thing to think a jet is unserviceable at 30 drops a minute, and an entirely different beast when you know a jet is grounded with 4 drops per minute. Armed with my newfound knowledge I made sure I had all my ducks in a row on the following Monday. I proceeded to reject 16 of the scheduled 36 sorties that day. However, because of the nature of the student syllabus we actually lost 18 lines of the 36 because of instructor pilot sympathy aborts. I guess my time as a Lead Pro Super made me uniquely qualified as an EOR Super after all. I guess these are the risks you run when you place a 'Strong Master Sergeant' at EOR against his will; he'll actually follow the T.O. to the letter! The next day we rejected another seven aircraft. After a week I was offered a job in Quality Assurance as the Product Improvement Manager[PIM]. Essentially they didn't want me inspecting aircraft or leading Airmen any longer. It was my final career move in the Air Force. While I was serving as the PIM my original FOIA request was filled. I submitted a second FOIA request for the details of the Commander Directed Investigation for the Privacy Act "violation." I've included those documents below but they are heavily redacted. However, for the sake of clarity and transparency I've included them for my most die hard readers. This is the final installment in this story, although I will be writing a epilogue to this story summing up my thoughts on maintenance and my career. I will also include some extra video. As always thanks for reading and please join us on Facebook for discussions of the on-going story, comments and news articles.